Dayton, Ohio Group Zapp started in 1962, as Lil Roger and His Fabulous Vel’s, changing into Roger and the Human Body from 1974-1978, then finally Zapp. Formed around the Troutman Brothers – Roger, Larry, Terry & Lester – Zapp released their debut Bootsy Collins produced album in 1980. The lead single from the album “More Bounce To The Ounce” went Top 20 around the world. More hits included “Computer Love”, “I Can Make You Dance” and “Doo Wa Ditty”. 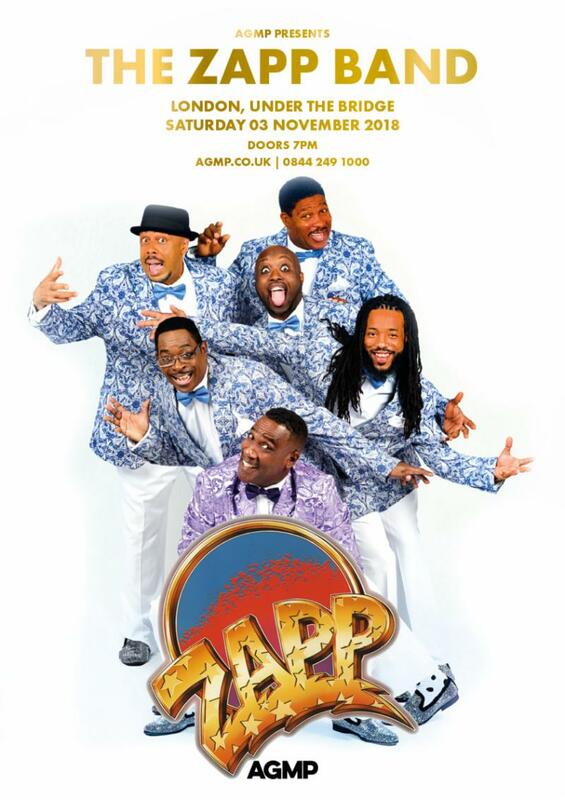 ZAPP’s eagerly awaited new album “ZAPP VII : Roger & friends” featuring Bootsy Collins, Snoop Dogg, Kurupt, Tuxedo and more will be released in the UK on October 26th.